The Year In Blues, From KPLU This year, the 10 best blues albums feature many younger artists who play original music; their work is rooted in the blues but headed somewhere else. Some purists may be put off, but this is a fascinating moment, in which the music is evolving right in front of us. It's also a demonstration of how deeply blues has become embedded in our culture. This year, the 10 best blues albums feature many younger artists who play original music; their work is rooted in the blues but headed somewhere else. Some purists may be put off, but this is a fascinating moment, in which the music is evolving right in front of us. It's also a demonstration of how deeply blues has become embedded in our culture. John Kessler is host of All Blues on KPLU. 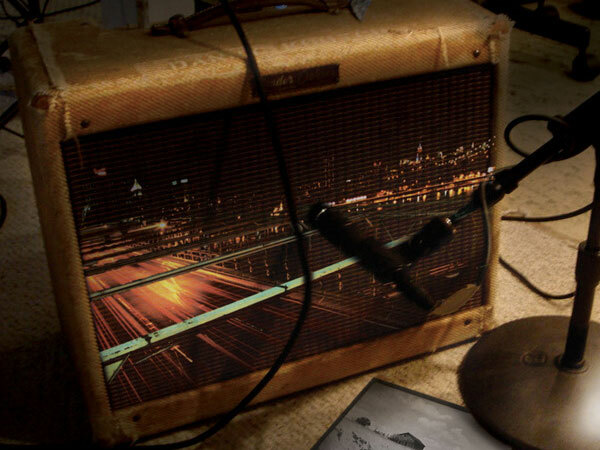 Click here for more entries in our Best Music of 2009 series. Just 30, slide guitarist Derek Trucks plays with the taste and wisdom of a true guitar guru. Some say he's carrying on Duane Allman's legacy, and he does attack the instrument with a familiar soulful intensity. But Trucks has given the slide guitar a unique and transcendent voice that almost sounds human. Yet his guitar never dominates singer Mike Mattison and the group, as they deliver a mix of funky originals and well-chosen R&B covers. Put aside your preconceptions. A 23-year-old white British woman is one of the most expressive blues singers and guitarists on the planet. This remarkable debut displays a considerable talent for creating blues-rock that goes beyond traditional song structure while remaining undeniably blues, not rock. Joanne Shaw Taylor is an exceptionally funky and fluid guitarist. Her voice is soft and sultry, never whiny. Dark and mysterious original songs are both passionate and restrained. White Sugar showcases the sound of a truly gifted artist at the very beginning of her career. 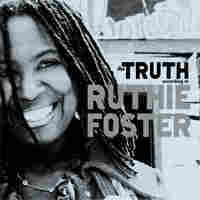 Ruthie Foster is devoted to American roots music, and possesses a natural ability to perform a wide range of styles, including folk, gospel, blues and jazz. 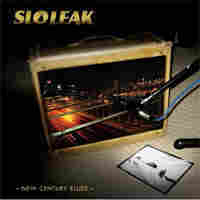 This album has all of that, plus exciting moments from supporting players such as legendary Memphis musician Jim Dickinson and guitarist Robben Ford. Production is surprisingly sparse, the big stars don't play too much and there's virtually no reverb. An intimate album of diverse songs, skillfully delivered. 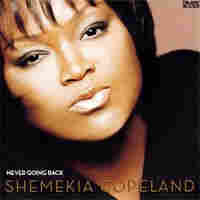 Barely 30, Shemekia Copeland has re-invented herself with her fifth recording. Previously, she's emphasized the sheer force of her voice, but this album is more refined, with less belting and more subtlety. The power is still there; she just uses it more sparingly and to greater effect. A sophisticated and slightly jazzy backing band provides an interesting counterpoint to her unstoppably bluesy vocals. Never Going Back includes a mind-bending version of Joni Mitchell's "Black Crow." 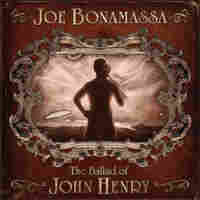 Joe Bonamassa has already proved that he can play as quickly and dangerously as any guitar hero. With this release, he's accomplished something beyond technique: He's created a real mood, brooding and mysterious. Yes, lots of guitar work is on display, but he avoids self-indulgence, instead letting the guitar support the dark vibe. More an album than a series of songs, The Ballad of John Henry may not be as much fun to listen to as his other work, but it's a musically varied and impressive piece of work. 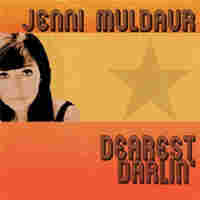 Where has Jenni Muldaur been all these years? Singing backup for David Byrne and Lou Reed, when she's not honing her craft in Manhattan clubs. Given her musically accomplished parents, Maria Muldaur and Geoff Muldaur, it's no wonder she has talent; this album, her second, positively pops with energy and soul. Well-chosen, slightly obscure, somewhat campy R&B songs from the '50s and '60s sound right at home in this century, thanks to punchy arrangements and her raucous and rowdy voice. An infectious, grown-up dance party. Four living legends re-create music from their mentors, including Muddy Waters, Little Walter and Elmore James. They manage to avoid most of the obvious song choices, instead choosing strong but lesser-known tunes. 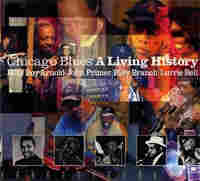 The most mainstream blues album on the 2009 list, this 21-song release features the traditional sound that defines Chicago blues, performed by true masters of the art. 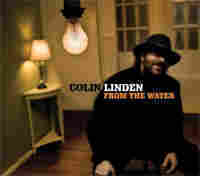 Colin Linden has been making records since the '80s as a solo artist, sideman and producer, with credits that include Bruce Cockburn, Janiva Magness, Keb' Mo' and Cassandra Wilson. That tells you he's deep and diverse, and that he knows his way around the recording studio. This is an album of slow and medium tempos, and gentle and wistful songs. Its sonically interesting blend of pristine and shimmering acoustic instruments are nicely offset by vocals bathed in reverb. This is not a traditional blues album, by any means. New Century Blues is on this list because of two songs: versions of blues classics that best exemplify a genre called "trance blues." Willie Dixon's "Spoonful" and Louis Jordan's "Early in the Morning" take on unexpected and sometimes bizarre dimensions in these techno-funk remakes. Vocalist Charlie Karp is the glue here, his gritty voice like a determined Howlin' Wolf, offsetting an onslaught of synthesizers and drum machines. Tommy Castro may have the best bar band in the world, and that's a compliment. With a soulful blues-rock sound honed by many years on tour, he's always made good-sounding records, but on this, his 13th release (and first on the major blues label Alligator), he shows a songwriting depth not heard previously. 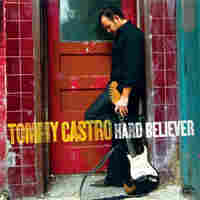 A mostly raucous and high-spirited mix of originals, and covers ranging from Bob Dylan to Allen Toussaint, Hard Believer finds Castro's vocals sounding most soulful on the slower tunes. His most accomplished album to date.